Is a hotel tourism center with rooms, business center, conference rooms and banquet halls, Golf course designed by Tom Fazio, executive golf course, spa, swimming pools, tennis courts, golf practice course, restaurants, bars, shop, and beach facilities. The Resort is owned by Desarrollo Golf Coronado, S.A. The Hotel is managed by the BlueBay hotel chain, which has an administrative agreement. The CORONADO GOLF & BEACH RESORT Member/ Affiliate acquires an irrevocable right to enter the Resort to use its facilities. The Board of Directors of the company reserves the right to amend the Rules and Regulations solely by notifying its Members/Affiliates. c) Access to the general public may be allowed for some special events. Every person staying in one of the rooms will have to abide by these Rules and Regulations, since every room includes a membership that pays a monthly maintenance quota. In order for Guests to use the facilities they must wear the wristband supplied to them at registration time. In order for Members to use the facilities, they must have their valid Membership ID card and present it prior to the provision of any service. The consumptions of guests and Members must be signed and charged to their account. The Coronado Golf & Beach Resort staff is under the obligations to ask for the Membership ID card before processing the Members’ orders or verify that the Guests are wearing their wristband. 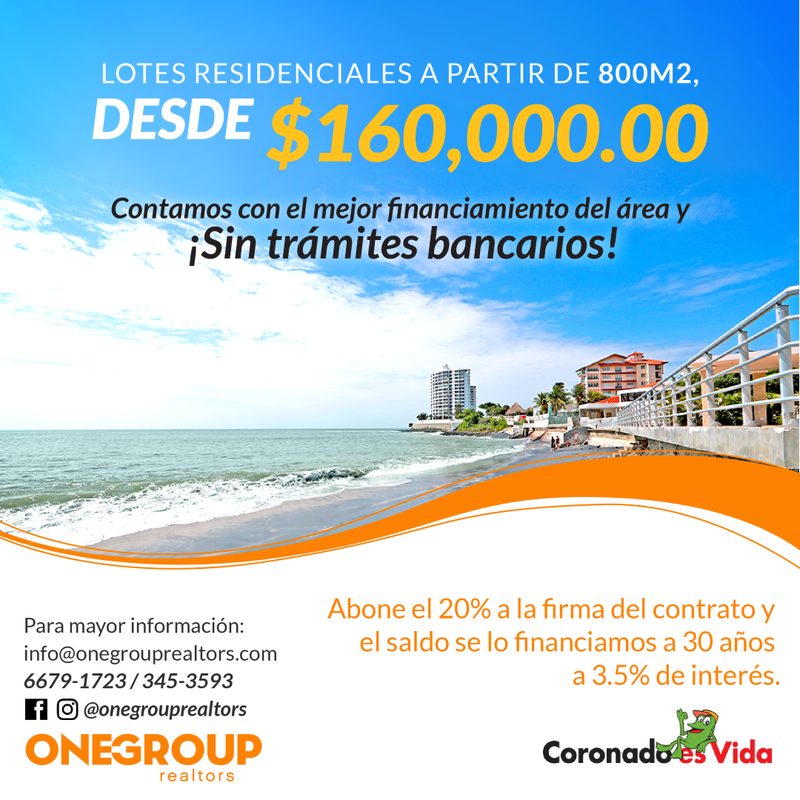 Are the persons or legal entities that purchase membership, pay their admissions quota, and are admitted by the Board of Directors as Member of “Coronado Golf & Beach Resort” once all the entry requirements have been complied with. This cost may be financed, with a $3,000 installment payment and 10 years of monthly payments of $100, in addition to the payment of the monthly quota in effect. (*) In the event of transfer to a person who is not an immediate family member (2nd degree of consanguinity), he / she must go through the admission process and the quotas and consumptions account must be up to date. Once accepted, the new 3 Member must pay the admission quota in effect at the transfer time. Admission process means the approval of the new entry on the part of the Board of Directors. 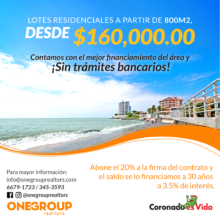 Are the legal entities that purchase corporate membership and pay their admission quota once they are admitted by the Board of Directors as Corporate Member of “Coronado Golf & Beach Resort”, once all the entry requirements have been complied with and approval from the Board of Directors. This membership will allow the admission of four (4) Members with the payment of only 3 individual monthly quotas. In this membership the legal entity is fully and jointly responsible for the payment of the individual accounts. The Corporate Membership may add more than four (4) memberships as long as it pays the admission, an additional individual maintenance monthly quota and that he / she is a company employee, without paying a membership cost. These additional memberships are non-transferable, and if one of the members appears late in payments, they are all late in payments and they may not be billed. (*) In the event of transfer to another company, it must go through the admission process and the quotas and consumptions account must be up to date. Once accepted, the new Member must pay the admission quota in effect at the transfer time. Admission process means the approval of the new entry on the part of the Board of Directors. When the Member’s son / daughter decides to activate this Membership, in order to activate it he / she will have to pay the quotas he / she had not paid before. For example, if he / she decides to activate it when he / she is 32 years old, he / she will have to pay the quotas he / she did not pay from when he / she was 26 until he / she became 32 years old, or pay the cost of a regular Membership. In case that he / she has to pay the quotas that he / she had not paid, he / she may finance them in equal quotas during one year, in addition to the quota in effect that he / she has to pay according to his / her age. (*) In the event of transfer to another person, he / she must go through the admission process and the quotas and consumptions account must be up to date. The new Member will not have the benefit of the quotas with discount according to the age, that benefit a Member’s son / daughter. Once accepted, the new Member must pay the admission quota in effect at the transfer time. Admission process means the approval of the new entry on the part of the Board of Directors. Senior parents older than 70 years old, who have been Members for a minimum of ten years, or that their son / daughter has been a Member for a minimum of 10 years, may be declared dependents of their Member sons / daughters, with prior approval from the Board of Directors. Are the local and international Memberships of persons or legal entities that, by agreement and/or deed, are the owners of lot properties, residences, or apartments within the Golf area, who are obligated to pay the monthly maintenance quota. In the event of sale of the property, the seller is severally responsible for the contractual obligation of the property, and shall submit a good standing certificate of the account before proceeding with the transfer transaction, and the new Member the must pay the admission quota in effect at the transaction time and start paying the maintenance quota. In the event that the property owner wishes to keep his / her personal Membership, the purchaser of the property will be obligated to purchase another Membership, or the property seller will have to purchase it. The property has the obligation to maintain one active Membership. Are those that, by decision of the Board of Directors due to their extraordinary contribution to the Institution, will not pay monthly quota. RESTAURANTS. Possibility to take the “all inclusive” buffets option at the restaurants (the buffets price is listed in the menus) or to opt to order “à la carte” at all the Resort’s restaurants. GOLF. Not paying Green fee when playing golf. Priority in “Tee Times” with 14- days prior reservation made. Membership transfer right (*). (See (*) in Memberships description). Priority in reservation of meetings rooms. Invitation to events for Members only. The discounts mentioned are not applicable on top of discounts granted by law (for example senior citizens discount) Prompt payment of consumptions. 10% discount for prompt payment on consumptions. All Members that have their accounts up to date, will receive a 10% discount on their total consumption account at restaurants, personal or corporate events, at the time they pay their account, if the same is paid before the 30th day of the month following the bill. The Members who do not have their account up to date will not receive discount mentioned above. The surcharge for late payment is 2% monthly once the 30 days after the bill have elapsed. Items such as magazines, candy, and those from the drugstore, as well as those having any type of discount, will be excluded from the 10% discount. Annual pre-payment of quotas. 10% discount for pre-payment of their annual quotas. In this case the quota amount is guaranteed at payment time for the term paid. In the event that the Member quit his / her Membership before the expiration of the period paid, the discount applied will not proceed and the amount discounted will be added to the account. Should there be an outstanding balance in favor of the Member, said amount will be reimbursed to him / her. Should there be an outstanding balance in favor of the Resort, the Member must cancel said amount. Other rates apply for Carnivals, Holy Week, National Holidays, and New Year’s; please request information at the front desk.